A recent report indicated that in Ireland we need to improve national productivity in order to boost our economy, attract more tourists and continue to attract inward investment. This is particularly true in the hospitality sector where European tourism is set to grow over the next ten years and there is an increased focus on how Ireland can expand its share of this lucrative market. Tourist numbers for Ireland are expected to grow by about 9% in 2014, up again on a 8% increase in 2013. Ireland has become more attractive for tourists over the last three years with reductions in hotel prices, restaurants, general services and also in VAT, and we are now seen as a good value holiday destination. The Government has identified tourism as one of our growth areas and has called for continuous improvement in the tourism package on offer within the country. One of the key components of the tourism package is how tourists are treated by the people with whom they come into contact within the country; from the minute they arrive to the minute they leave. So what has improving productivity got to do with all this? Improving productivity in essence means improving individual performance. With long experience of the hospitality industry, Nuvision was contracted by a hospitality operator to look at ways in which we could help staff to improve their individual performance. From a business point of view we first asked what benefits flow from improving performance – and more importantly- what are the financial rewards? Within the hospitality industry the current trend is that customers want value for money; they still want quality but at the best possible price. The trend is particularly evident on restaurant review sites – Menu pages, Trip Advisor etc, which show that customers are very focused on value for money, on quality products and, most especially, want to be treated very well when they are spending their hard earned cash. This trend is recognised as the quality/value offer – how much value can you offer at the lowest price. So the NOW customer wants value for money, good quality products and strong respect for giving you their money! To maximise financial reward, and appeal to the NOW customers, a business needs to offer excellent quality, at competitive prices and provide great customer services – it needs to improve performance! Some roles within the industry are highly functional, where performance is primarily skill driven, as in the case of a chef, with little or no direct customer contact. In this case performance is a skill driven function. In other roles, as in the case of front of house staff, performance means a combination of task based activities and customer service activities. Performance, in this case, is a balance between function and customer service and we have discovered that some individuals are very good at completing the task element but are not so good at the customer services, while others are excellent at customer services but poor at task based activities. The importance of being able to determine the key components of performance linked to the job role and the aptitude requirements of the role. So how do you improve performance? And then clearly define the required standard, provide the training, motivation, management and empowerment to allow them to perform to their best ability……and also provide them with feedback on their performance. So the staffing objective is to have the right people, with the right skills, in the right job and to empower then to perform to the best of their ability. Firstly, define the JOB (our new name for the function of work) so that you can determine the skills needed; then, and only then, go and look for the person with the necessary skills. So the JOB needs to be very clearly defined – the tasks involved, customer services standards, regulatory and performance standards, levels of empowerment and finally all the skills needed for these activities. Tasks are the individual activities, completed in sequential steps, which are undertaken by the employee. The tasks cannot be completed in isolation and items such as customer service, regulatory and performance standards have to be part of the activity. The best outcome is that all these elements are seamlessly knitted together to create the perfect package for the customer. The customer service standards and the regulatory and performance standards can be established and incorporated into the JOB. So how do you identify the skills required? When the tasks have been listed it’s possible to identify all the various skills needed to complete the JOB, including the aptitude requirements. Our study has indicated that major focus should be placed on the JOB: on defining the JOB as outlined and then setting up recruitment, training, motivation, and empowerment systems to allow people to improve their individual performance. We also discovered that the most successful staff are those who not only have the right skills but also the right aptitude for the role – and these issues need to be part of the recruitment specification. One of the key determinants in the sequence is the recruitment process. The aim is – Employ to Empower – in other words the recruited staff member must have the probability of achieving empowerment, based on their personality, skills and aptitude linked to the training, motivation and management within the system. The amount of money, time and effort spent in recruiting, training and developing the staff member is high enough to insist on getting the best possible candidate with particular emphasis on aptitude for the role. Developing and implementing effective recruitment systems is a key factor of success in the hospitality business and we have developed a number of tools to improve this function. When the JOB has been defined and incorporated into the Operating Manual, then the training formats can be established. We have set up a written JOB training format which includes the task sequence, customer services standards, regulatory and performance standards, and key outcomes. We have also included helpful hints on both task issues and dealing with customer services. We are working on a number of Motivational Models – recognition, reward, promotion and other ideas to drive motivation. Empowerment is when the staff member has the ability, the skill, the knowledge, the judgement and the authority to complete the brand promise. The early conclusion is that the benefits of training, motivation and empowerment will make the process of management much easier and will change the management function from being one of a driver of the business to one of a developer of the business. 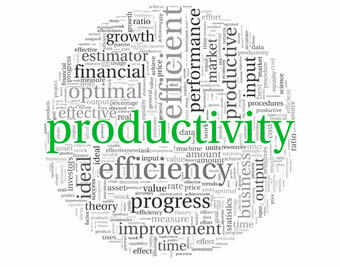 In the current trading environment improving productivity is clearly one of the ways of maintaining competitive advantage. A key component of improving productivity is employing staff that have the ability, aptitude and the potential to be empowered and then setting out the JOB format to allow the potential to be realised. For staff already in the system it is important to review and define their existing capability and set out a clear training and development plan to help them become empowered.